The Torah is not simply a set of laws, but a living guidebook to our everyday lives. 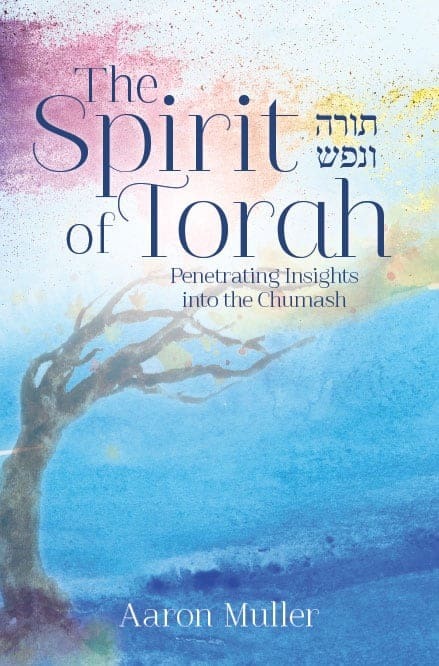 Welcome to The Spirit of Torah, which will give you the opportunity to connect with the actual text of our great spiritual thinkers and teachers. Words can be so powerful, communicating deep meaning and delivering a message so rich and accurate. The words selected by the Rishonim and Acharonim to communicate their ideas are full of life with a perpetual and very relevant message for us all. Become inspired as you allow the ideas and insights presented in this book penetrate your heart and offer new understandings of the Torah – and life. Aaron Muller is originally from Brooklyn, New York. He attended Yeshivas Mercaz HaTorah of Belle Harbor as a talmid of Rabbi Levi Dicker, zt”l, and subsequently Yeshivas Mir, Yerushalayim. He resides with his family in Monsey, New York and works as a speech-language pathologist. He is also the founder and creator of the popular Torah website Parshasheets.com, which shares hundreds of weekly divrei Torah from authors around the globe.